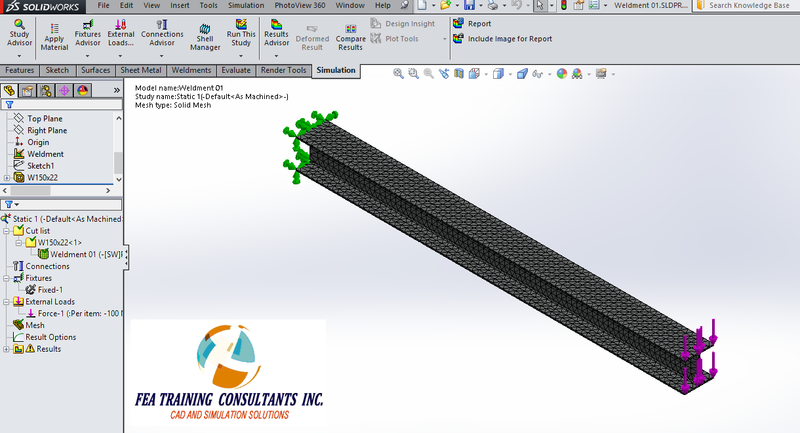 SolidWorks Simulation is a powerful tool to analyse and predict how a component will react under loading conditions. 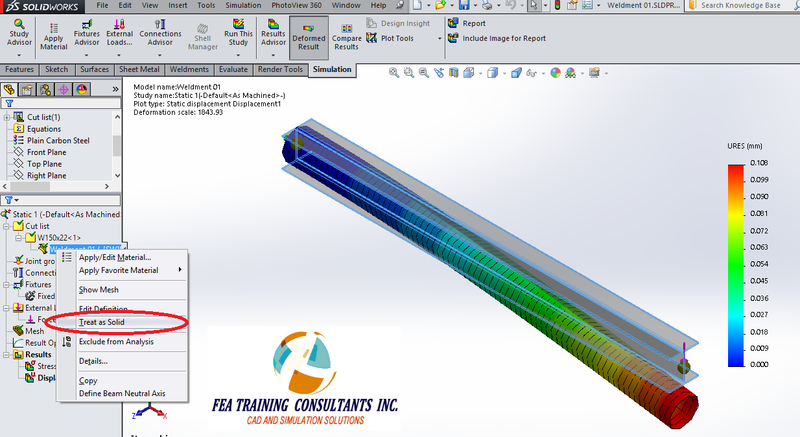 It uses the finite element method to divide the subject model into smaller elements for analysis. 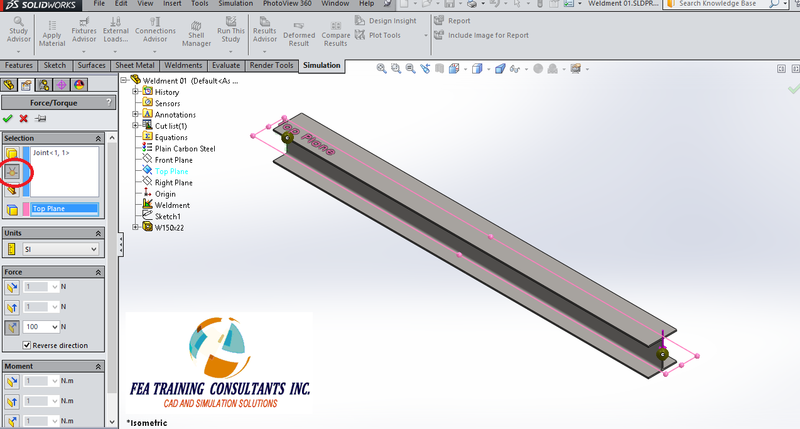 The method and classification of this division can determine the accuracy and speed at which your simulation will run. 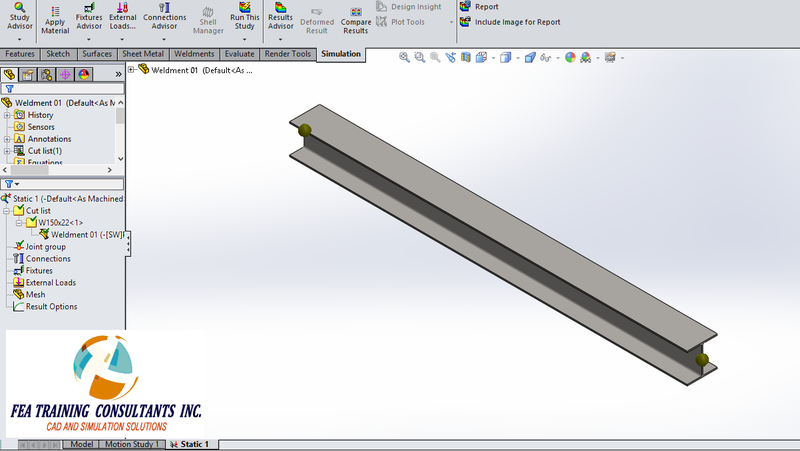 In the case of weldments similar to the sample beam as shown below, they are treated differently than a typical solid in solidworks simulation. Weldments are treated by default as beam elements which have joints at junctions and connection points. In our example we have a simple cantilever beam therefore only two joints exist represented by the yellow spheres in the graphical area. If you need to edit the joints groups, right click the “Joint Groups” and select edit. This will allow you to edit joints in the properties box. When applying the fixtures and loads we may do so normally, however keep in mind that point load and fixtures are to be applied on the joints. 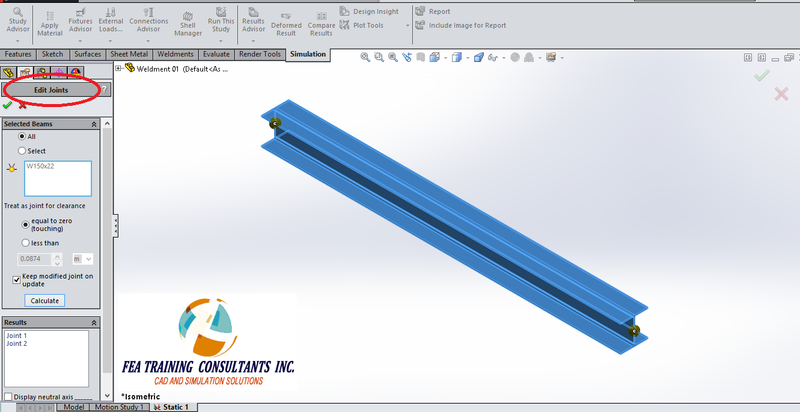 To do so, select the joint icon before you select the location and apply the load to your model. 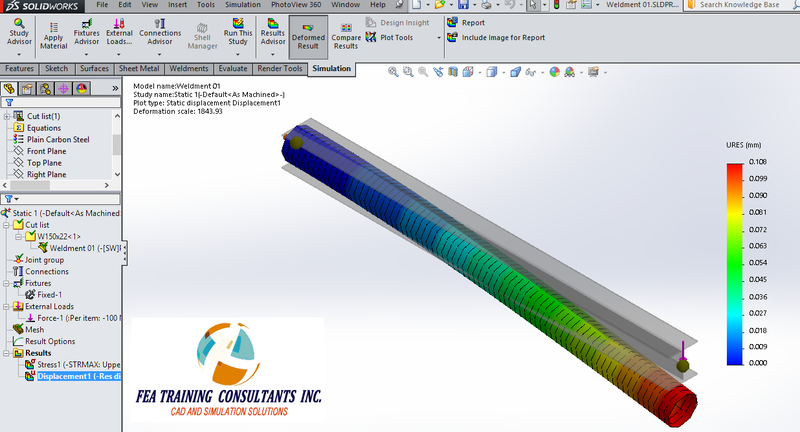 Running the simulation and superimposing the original model we find that the maximum deflection is given by 0.108mm. 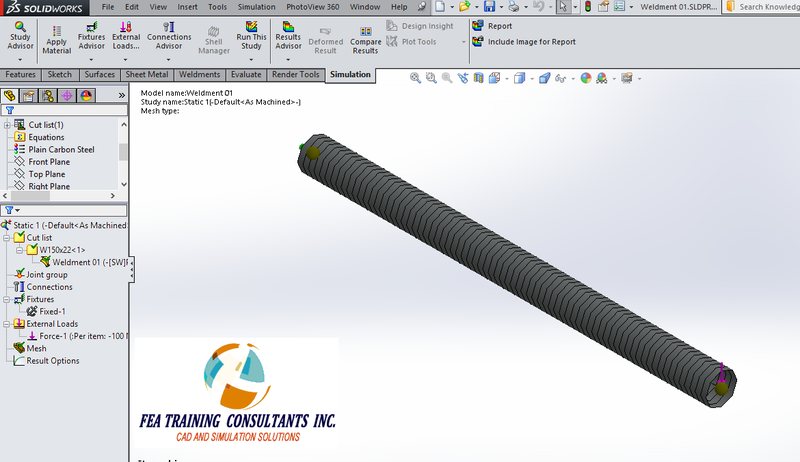 Alternatively, you are also able to select a weldment and specify that the program treat the 3D model as a solid as with standard tetrahedral mesh. 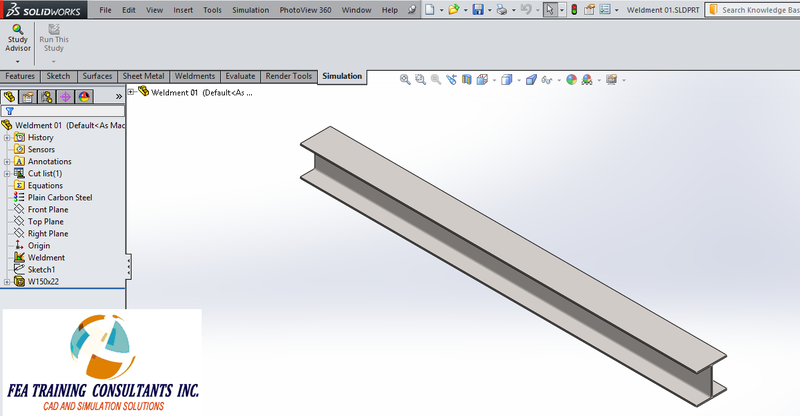 To do so, right click the weldment body and select “Treat as Solid” from the menu. 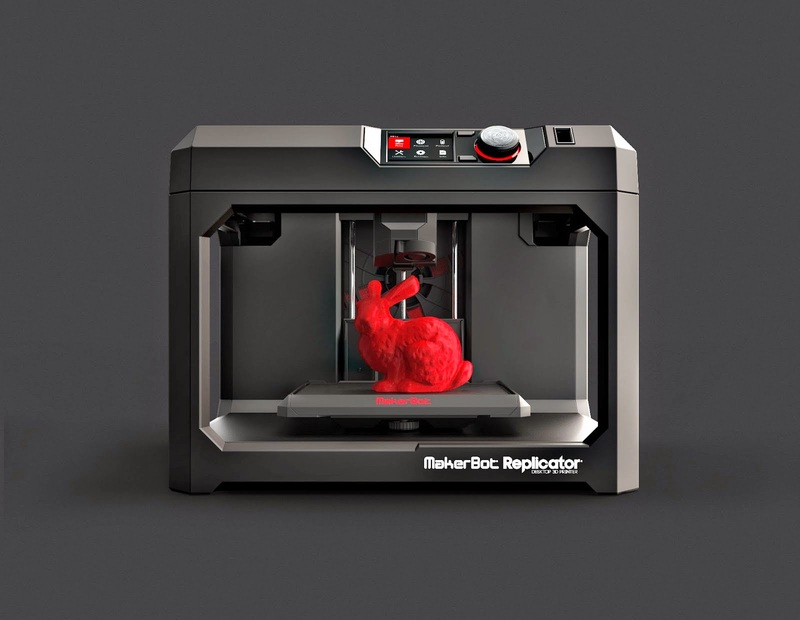 You have the option to apply the applicable type of element that best suits your model.